Hi! 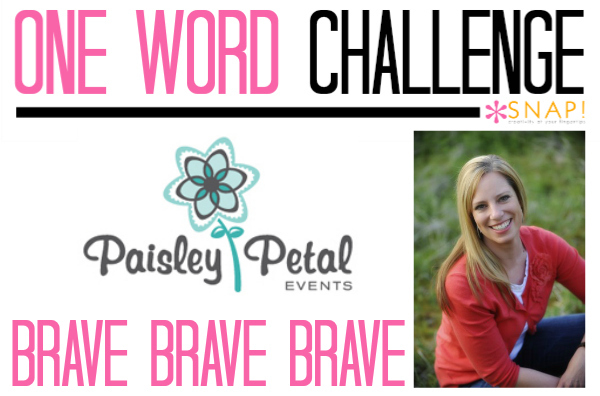 I’m Holly from Paisley Petal Events and I’m excited to share my one little word for 2015. I’ll be honest and let you know that I’ve never had a word for the year like many others have, mostly because I’m not very good at making resolutions and actually sticking with them and I wasn’t sure choosing a word would do me much good. BUT, this year is different. This year I think my word will really help me achieve some goals and dreams and HAS helped me already. That means you’ll be seeing some changes and exciting things happening over at Paisley Petal Events (including a name change & re-branding – eek!) and I couldn’t be more excited about it!! I hope some of you will come along with me for the ride via Instagram or Facebook and be inspired to be BRAVE in your own way. 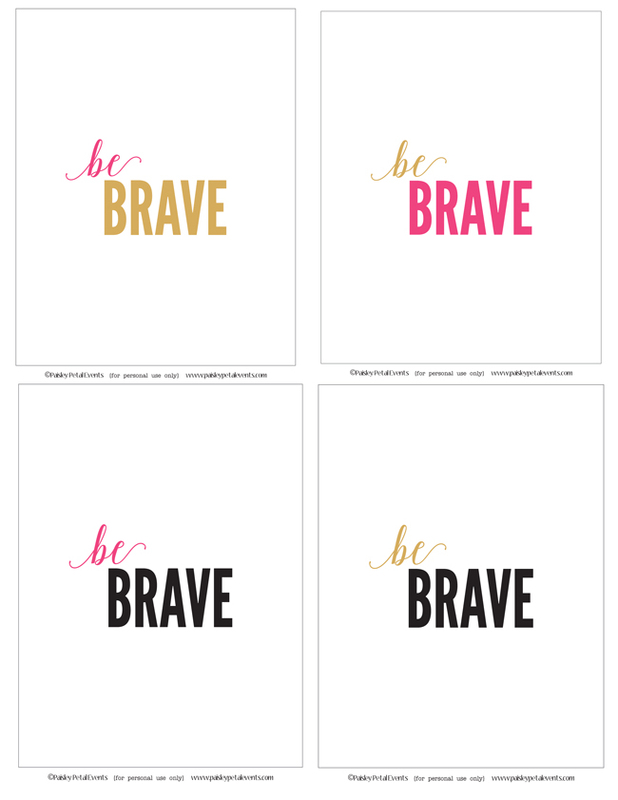 It does require some serious bravery to embark on a new adventure. We can’t wait to see what Holly has in store! Have you visited Paisley Petal Events? Holly has the cutest ideas around for parties and entertaining. Stop by and check it out!